The S7 is one of the top smartphones of the year. Unfortunately, a title like that comes with a hefty price tag, making it one of the most expensive cell phones on the market today. When you spend this much to have the best technology in the palm of your hand, you’re going to want to make sure it lasts through the week. Yet, with a Gorilla Glass backing that’s prone to scuffs, scratches, and cracks, that’s easier said than done. You certainly can’t expect to protect your Galaxy without a little bit of help. The S7 is one of the world’s most singular phones in terms of design and function. There is, after all, a reason why it’s made it to the top of so many critics’ list. To wrap it up in a form of protection that’s any less remarkable would be a disservice to the phone. Choosing the wrong kind can spell disaster for the S7, too, as ill-suited protection does nothing to save the Galaxy from damage. Or it does, but at the cost of the S7’s design. Cases that think protection can be found in the walls of hulking, inflexible plastic are exactly that. In saving the phone from scuffs, scratches, and cracks, plastic cases bulk out the S7 until it’s unrecognizable. What once was a joy to hold becomes an awkward, unwieldy phone. While cases are out, vinyl skins are in. The vinyl material is a much more supple plastic that’s processed to create a very thin covering that retains all of its protective powers. It’s so flexible that it molds over the curves of the S7, and it hardly adds any dimension at all. 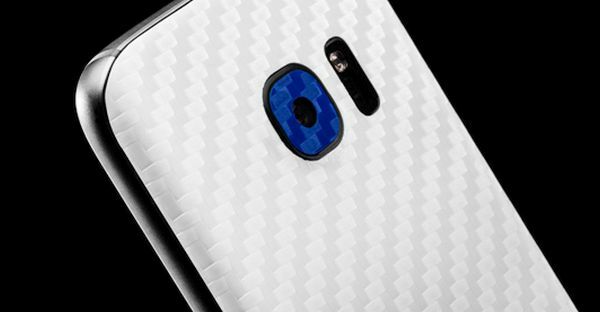 And unlike cases, which run the risk of covering important port holes or speakers, these S7 skins are cut within a micro-millimeter of Samsung’s original blueprints. It affords a superior fit with impressive protection. With an S7 skin wrapped around your phone, you won’t have to worry about sharp objects or rough handling causing scuffs or scratches to its glass. Even better, it eliminates the need to constantly polish away greasy fingerprints from the back of your phone. With the skin’s air-tight barrier between your fingerprints and the sensitive glass, you’ll never battle with smudges ever again. 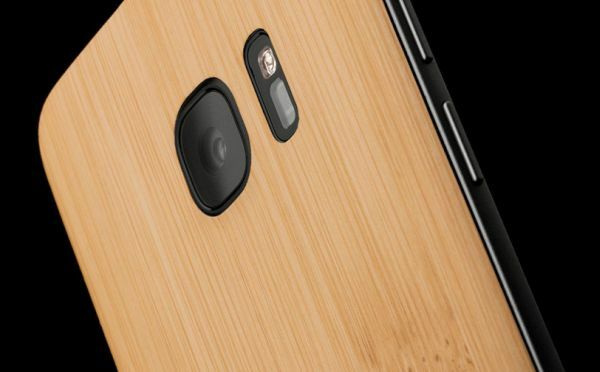 Just like the fit of your S7 skin should complement the phone, so should its design. 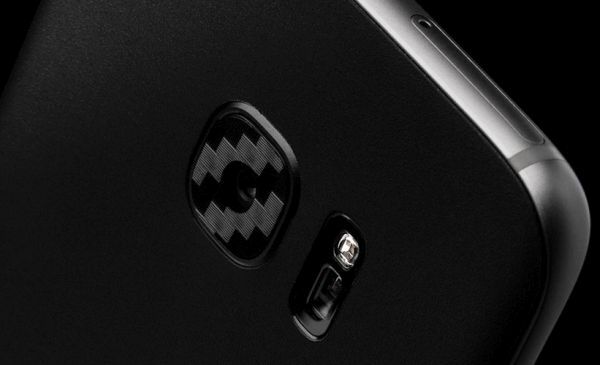 You can’t expect to use a phone that’s covered in a pattern that actively works against the sophisticated aesthetic Samsung created. You need something that balances the natural style of the phone with your own unique fashion sense, so you should expect to be able to customize the look of your skin like the cool Galaxy S7 skins from dbrand. Each of their skins comes in 3 separate pieces that can take on the color or texture of your choice. A custom designed, form fitting skin for the Galaxy S7 is the best way to prevent damages from ruining your investment. Save the Galaxy with an S7 skin and your phone will last much longer than a week. It can keep your S7 lasting for as long as you (and your wallet) need it to.